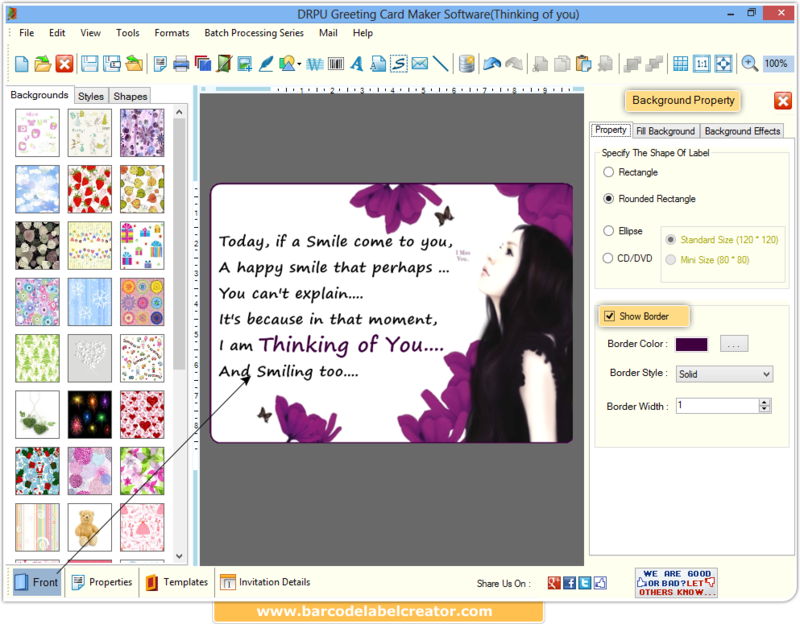 Designing a Greeting card is no more expert job as Greeting Card Maker Software makes it possible to design and create Greeting cards by your own with photo addition facility. So now you can make the day special using greeting card designing software to create colorful Greeting card of any shape and size with photo addition facility on your PC in few steps. Batch Processing Series feature allows to generate the multiple copies of Greeting Cards with different barcode and text value. Option to add picture, image, icon while creating greeting card. Design and create card in Rectangle, Rounded Rectangle or Ellipse label shape. Provides option to create colorful greeting cards. 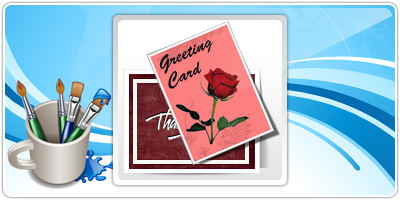 Create greeting card using wizard or with blank format. Print created card using advanced print settings and print profile facility. Mother's Day Greeting Card, Father's Day cards and other similar types of card.